KIA Motors released the SUV concept car that uses the tracks such as tanks at SEMA 2016 in Las Vegas, United States. 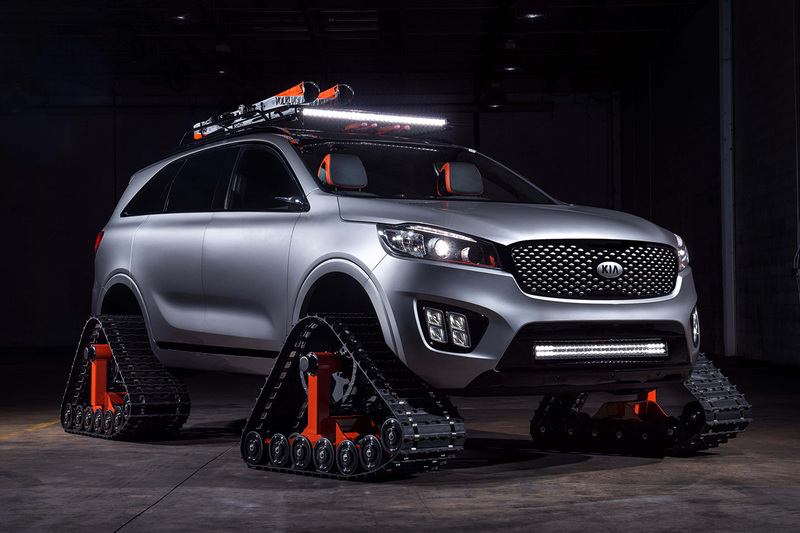 As the name suggests, 'Sorento Ski Gondola,' this car is designed for the skiing lovers. 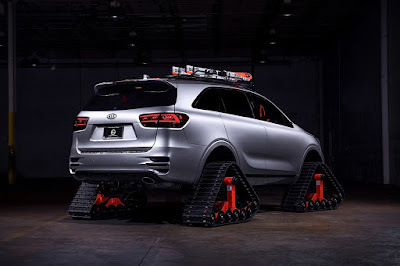 Those tracks to support the use of vehicle on the snow once all-terrain. 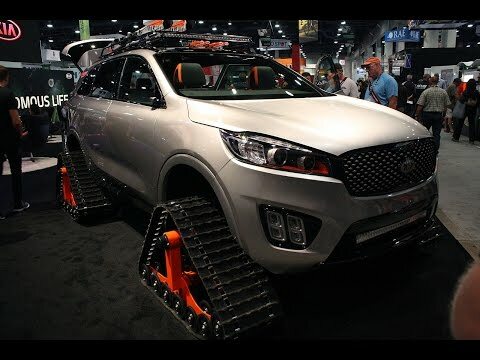 Not only that, Sorento Ski Gondola already using the latest autonomous technologies. There is no steering wheel, throttle and brake pedals. The car was controlled autonomously by computers. And the passengers just sit and enjoy the ride. To control the car, there is a tablet which is located between the two seats. Of the tablet was all the operation to control the vehicle can be done, including turning its features. 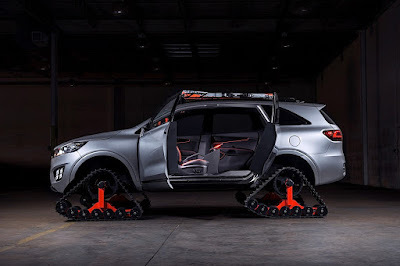 The car is equipped with roof rails for carrying the ski equipments as well as the design of the suicide door typed or no B pillars. This is to facilitate the passengers to entry or exit of the car. The car display more dashing with the use of sharp LED headlights. Not only that, in the front bumper also mounted a row of LED lights to support the use the car on the night and foggy weathers. Side mirrors have also been replaced with the cameras to help the passengers see the condition around the car.